One Eternal Day: "That Hideous Strength"
...[I]f there's one CS Lewis book I highly recommend everyone to read, it would be this one (perhaps even above Till We Have Faces). 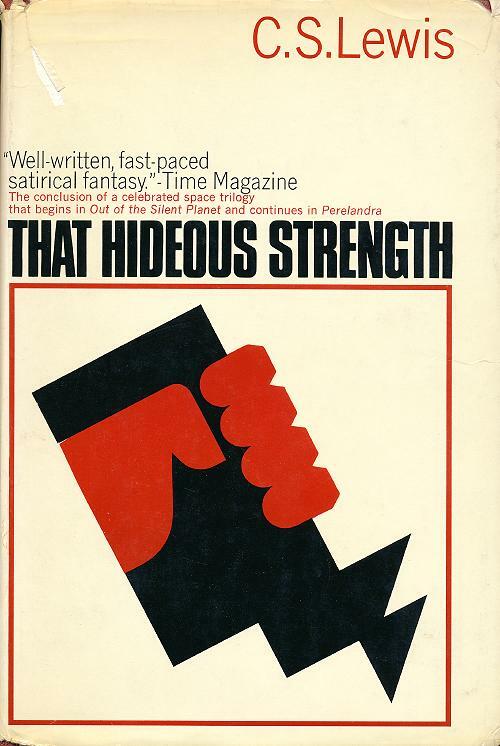 That Hideous Strength is, admittedly, an odd book. But it may be Lewis's most relevant. It's a book about statism, revolution, perversion, bureaucracy, modern education, scientific materialism, and transhumanism pitted against what one hapless character comes to call "the Straight": Christianity, beauty, freedom, morality, law. I haven't read that book for decades. Perhaps it is time to re-read.